HomeAll Posts...Peppermint Fudge has Arrived! Our peppermint fudge has arrived! Stop by and pick up some, while supplies last. 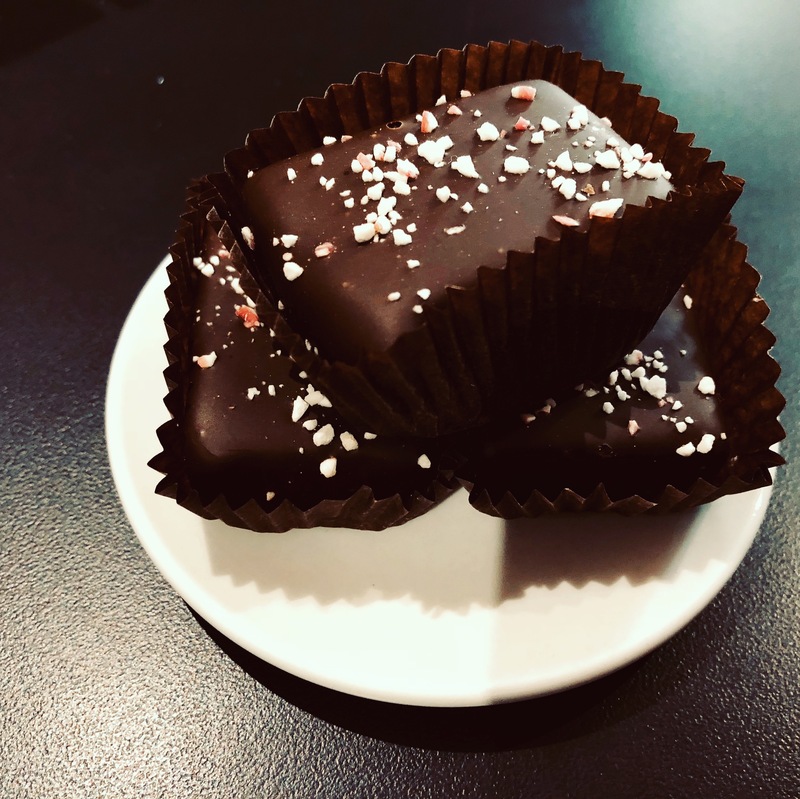 Mint-infused truffle fudge pieces, coated in semi-sweet chocolate, and sprinkled with crushed peppermint candy cane. John Kelly Chocolates are the creaminess of truffles meets the intense richness of fudge in this artisan chocolatier’s unbelievably seductive, award-winning chocolates. Made only from premium natural ingredients, they define chocolate decadence. What is truffle fudge? It’s something completely different. It has a silky chocolate center with the consistency of ganache, as well as a chocolate coating, and you may think it’s a truffle. But it’s not. It’s actually fudge, just not like any fudge you’ve tasted before. Our gourmet truffle fudge is a masterful blend of ingredients that delights the most sophisticated palate, and provides pure pleasure to anyone who simply loves chocolate. Superb ingredients, exquisite flavor and a silky-smooth texture set it apart. While ordinary fudge tends to be monotone in flavor, our truffle fudge pieces are available in seventeen richly complex flavors, each rivaling the finest gourmet dessert. Thanks for visiting us for the Holiday Open House! Pumpkin Spice Fudge has Arrived! Don’t forget about Trick or Treat! Come visit us tonight.